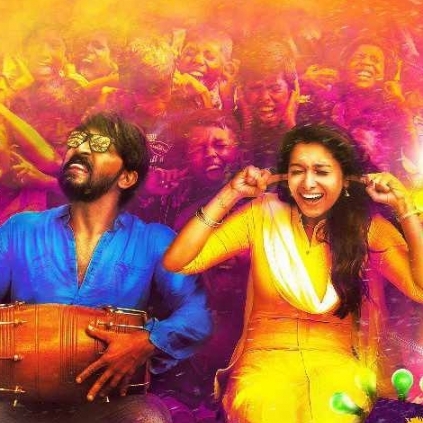 Actor Vaibhav and Priya Bhavani Shankar starrer Meyaadha Maan is produced by Karthik Subbaraj and directed by Rathna Kumar. The movie’s teaser and music by Santhosh Narayanan has created a good buzz for it and the songs have picked up popularity among audiences. JUST IN: KARTHIK SUBBARAJ MAKES A BIG ANNOUNCEMENT ON HIS NEXT! Director Karthik Subbaraj’s production venture starring Vaibhav and Priya Bhavani Shankar in the lead roles and directed by Rathna Kumar is Meyaadha Maan. This film’s music has been composed by Santhosh Narayanan and Pradeep Kumar. The teaser and the three singles which have already been released have gained a good popularity among audiences. Karthik Subbaraj And Vaibhav’s Meyaadha Maan Teaser To Release Soon. People looking for online information on Karthik Subbaraj, Priya Bhavani Shankar, Rathna Kumar, Vaibhav will find this news story useful.